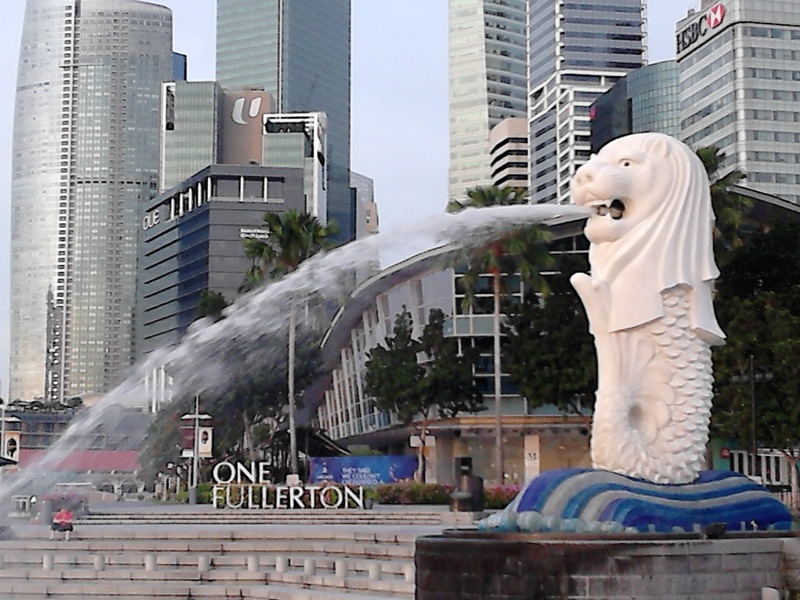 For many years now, I’ve intuitively known the sea fronted by the Merlion Esplanade as possibly the most powerful energy vortex found on in Singapore. Strolling past the Esplanade one evening in 2005, I was told by the Lord of Arcturus (one of the Elohim) that “when the time comes, you will see space ships hovering above the Esplanade and you will assist others in connecting with these light vehicles coming from the Galaxy”. I have totally forgotten about this message until a couple of weeks ago when Lord of Arcturus reappeared in my mind several times. 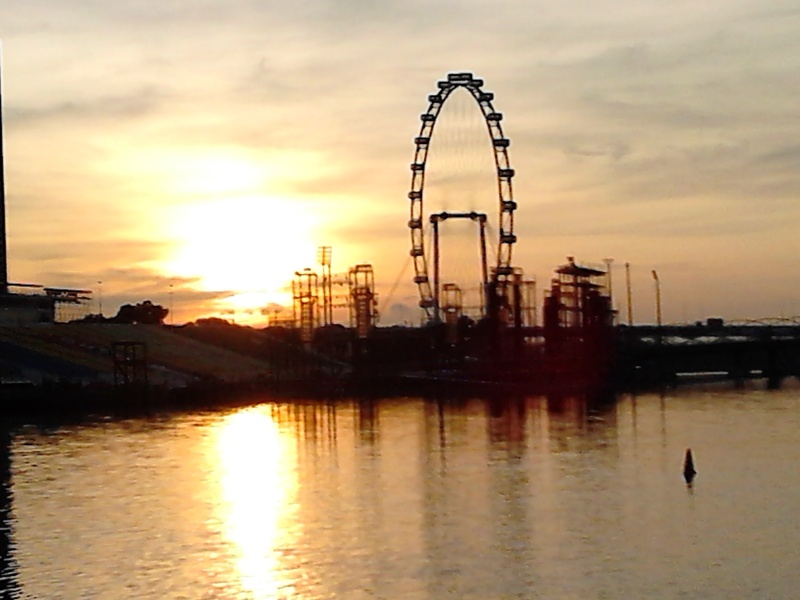 Through many synchronistic events that followed, I was brought to Merlion Esplanade at 7am this morning. 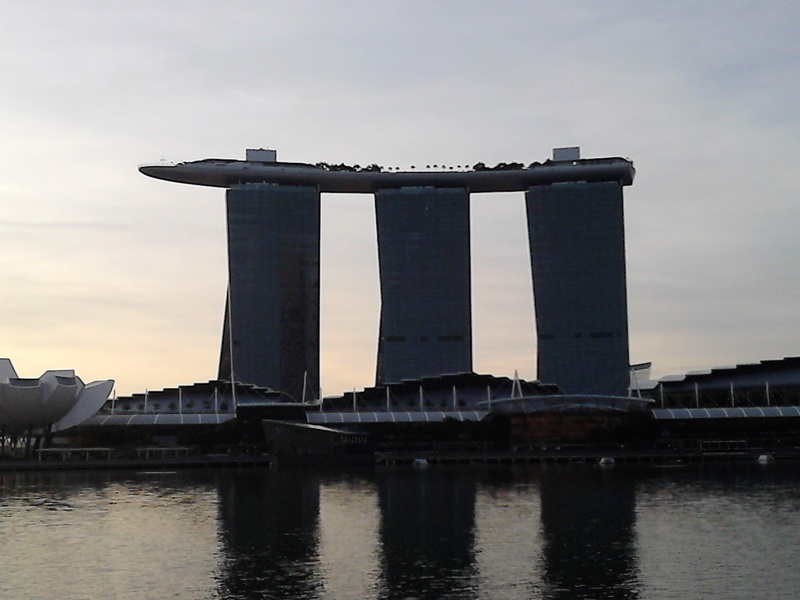 As I looked across the sea, I was greeted by the Marina Bay Sands Integrated Resort which has a large ship sitting on the top of a three-pronged building. As Without, So Within. Even though this resort was completed in 2010 and I’ve passed by it several times since, I have only just realized the gigantic ship hovering in the air is in fact an out-picture of a collection of light ships Lord of Arcturus spoke about. Furthemore, the three vertical structures supporting The Ship refer to the Sun (center of our solar system), the Central Sun Alcyone (heart of Pleiades system) and the Great Central Sun (heart of Sirius system). See third photo below. While meditating at the Merlion Esplanade and connecting fully with the Ship, I received new ascension codes transmitted through the Sirius star constellation, the portal to our galaxy. I am told these light and sound codes are to be anchored at the various power places on Earth to support the physical arrival of the Galactic babies whose souls originate from the 13th dimension. As holders of the 13th Ray of the Illuminated Heart, these highly evolved souls have no previous incarnations on Earth and thus, are completely karmic free. When incarnated, they will be the planetary Love Avatars. If we choose to receive and ground these ascension codes with a joint intent of assisting these star babies to adapt to Earth living, not only are we serving as their ‘mid-wives’, we are also helping to increase their affinity with Earth and mankind. More about the 13th Ray of the Illuminated Heart, listen to channeled teaching 21.12.2012 Celebration. Sit quietly in meditation, bringing your attention inward and focus on your in- and out-breaths. Relax your mind and body. As you listen to the ascension codes from Sirius transmitted in Light Language (click the link below), feel or see a multitude of colours and sound vibrations entering your Thymus or Universal Heart Chakra found on our 5th dimensional light body. This chakra connects us to Sirius. Allow some time for the ascension energies to be fully integrated into your Thymus chakra. On behalf of all the 13th Ray galactic babies whom we may get to meet in time to come, a big Thank You for having supported their safe landing on Earth. Namaste! Amara Tia Ann. Announcement: Next workshop on Isis-Sirius Alchemy Healing will be held in Melbourne on 4-5 October this year. Go to Event News for info. Please register your interest or email your enquiries to Cecily Leong at cecilyleong@mail.com.